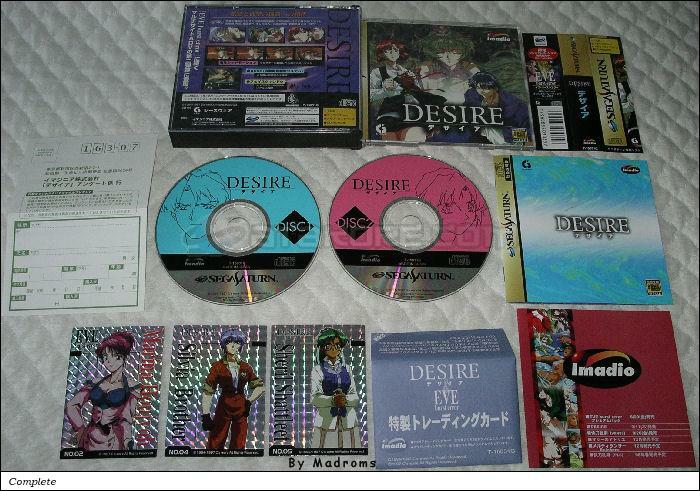 Desire (デザイア) is an Adventure game, developed by Craftman Arts, which was released in Japan in 1997 for the Sega Saturn. This game came with 3 trading cards, 2 for the game Desire and 1 for the game Eve Burst Error. 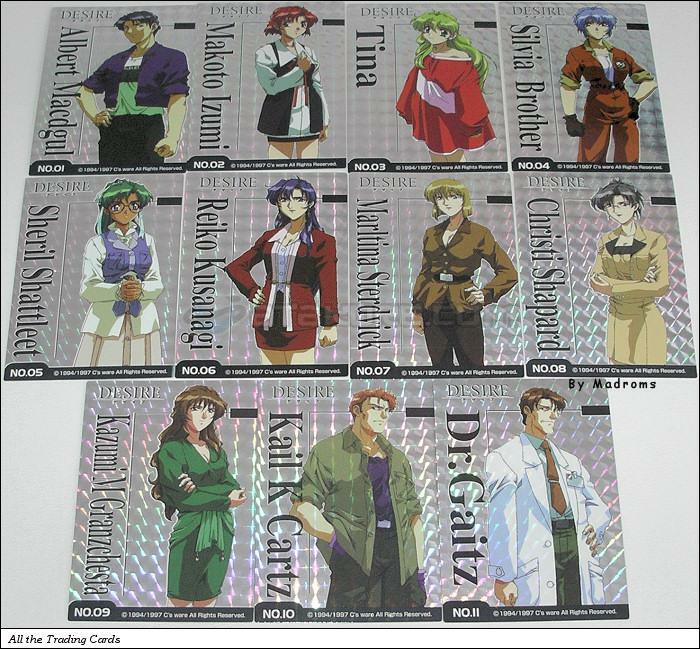 Here is the list of all the Desire trading cards available.